The 2017-2018 flu outbreak has reached near-epidemic levels and is expected to equal or surpass the 2014-2015 flu season levels according to the Centers for Disease Control and Prevention (CDC). As of February 9, 2018, health officials believe this year’s flu is responsible for 1 in 10 American deaths – in other words, for roughly 4,000 American deaths each week. As of February 16, 2018, the CDC reported the deaths of 84 American children from flu-related causes, despite signs of the flu season slowing down. This study was led by Neil Seeman, JD, MPH, RIWI Corp. CEO and Senior Fellow at Massey College and a researcher in public health affiliated with the University of Toronto. The overall goal was to better equip public health officials to contain the epidemic, dispel myths, and to implement a global flu vaccination program that protects all people, especially the most vulnerable. 1. 79% of respondents who do not think that the flu shot is safe did not receive the flu shot in 2017 and 95% of this group does not plan on getting the flu shot this flu season. 3. 72% of respondents who think the flu shot is safe put their trust in their doctor for information about the flu shot. Respondents who do not think the flu shot is safe are almost equally divided between investing trust in their doctor (34%) and their family/friends (33%) for flu safety information. Most of the respondents who are uncertain if the flu shot is safe trust their doctor for the relevant information (54%). 4. Despite social norms dictating that farting in public is frowned upon, respondents are over twice as likely to perceive being coughed or sneezed on as worse (68%) than farting in public (32%). Even when looking at those who have been coughed/sneezed on in the past month, they are only slightly more likely to feel coughing/sneezing is worse (71%) than the rest of respondents. 5. 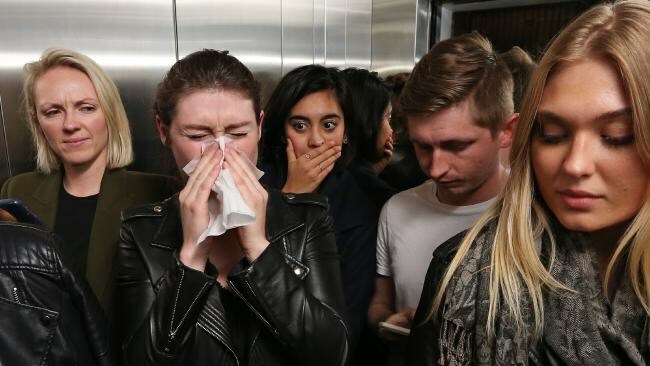 With flu season in mind, it makes sense that respondents feel coughing/sneezing is worse, although it is surprising that being coughed on or sneezed on, given the risks associated, is not always regarded as worse than public flatulence.